The soundtrack was placed on the Official Ballot for the 2005 Grammy Awards by the Recording Academy for Best Compilation Soundtrack Album for A Motion Picture, Television or Other Visual Medium. 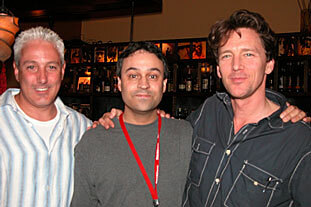 Big Noise also served as Andrew's publicist for the film's entry in the Rhode Island International Film Festival. 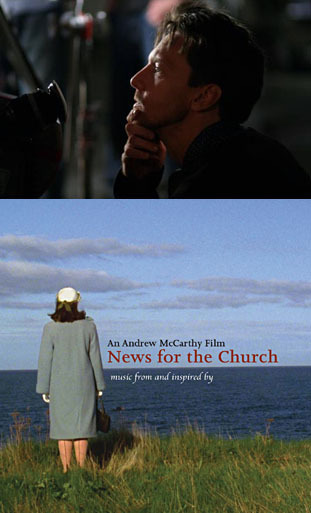 'News for the Church' won Grand Prize at the festival for Best Short Film, qualifying it as an Official Entry with the Academy Awards for Best Live Action Short Film (Bottom photo L-R: Film producer John Scaccia, Big Noise's Al Gomes, and Andrew McCarthy). Click here to enter Andrew's Official website!